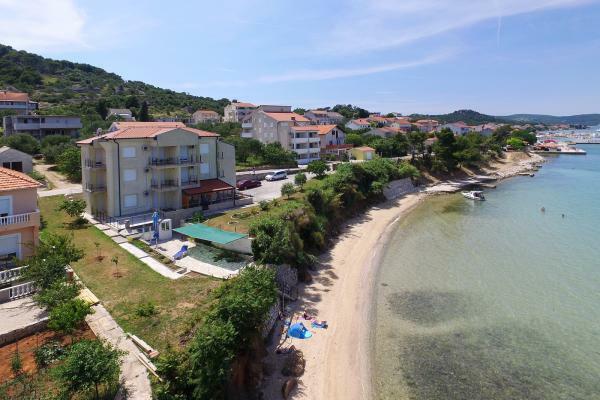 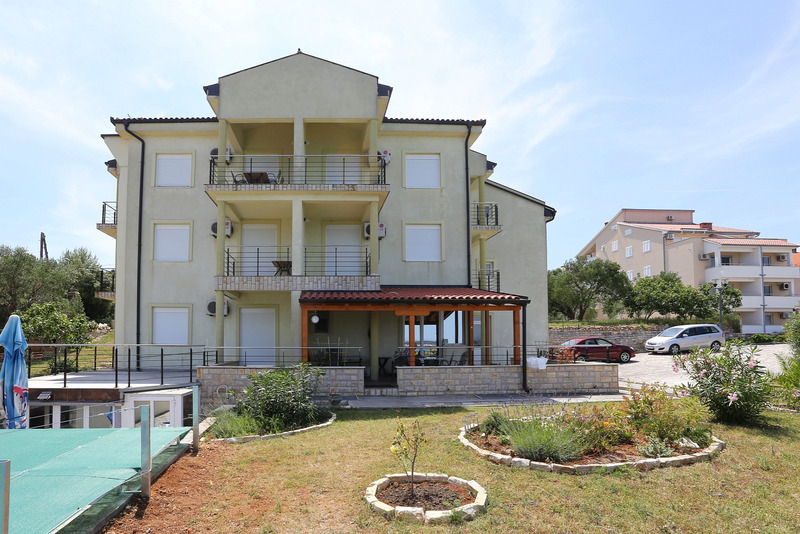 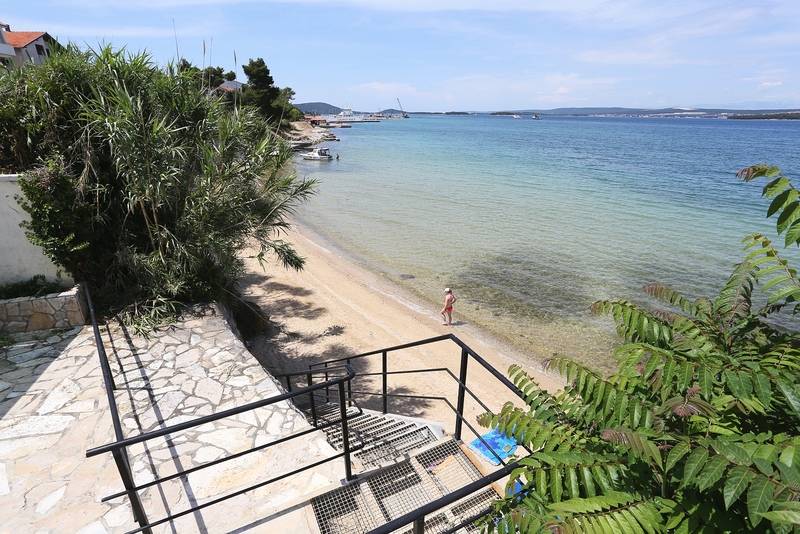 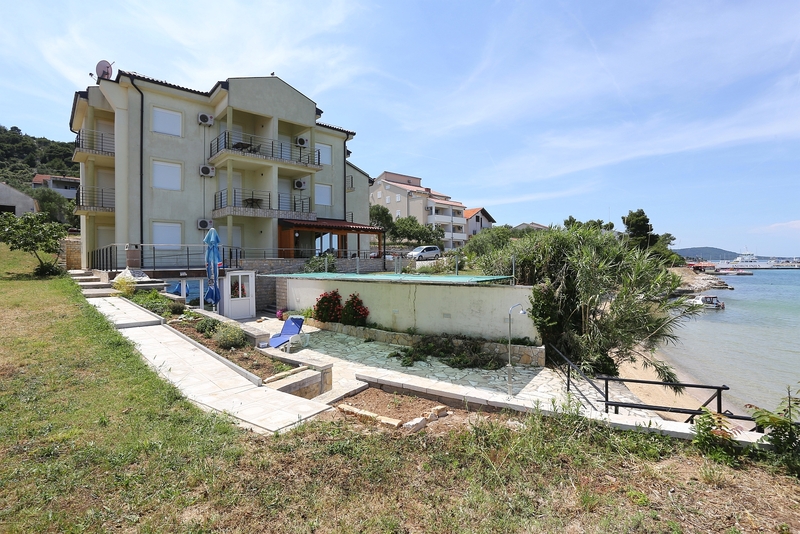 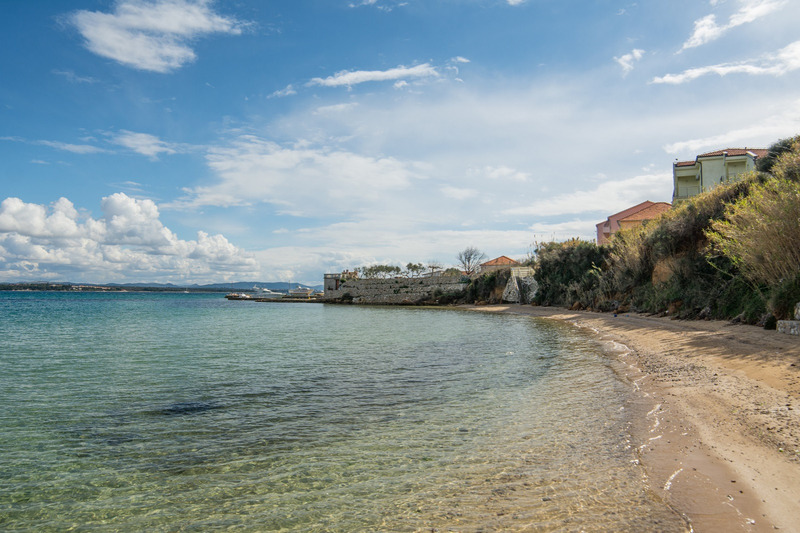 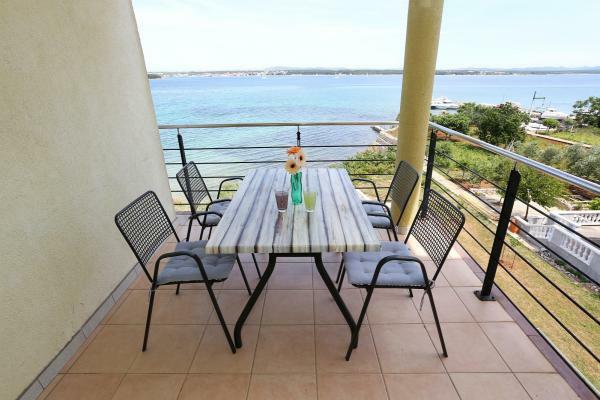 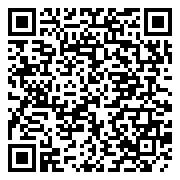 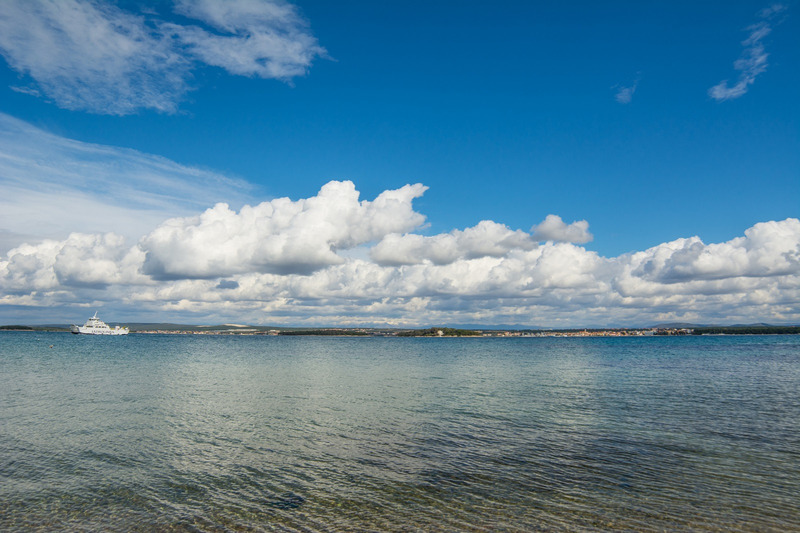 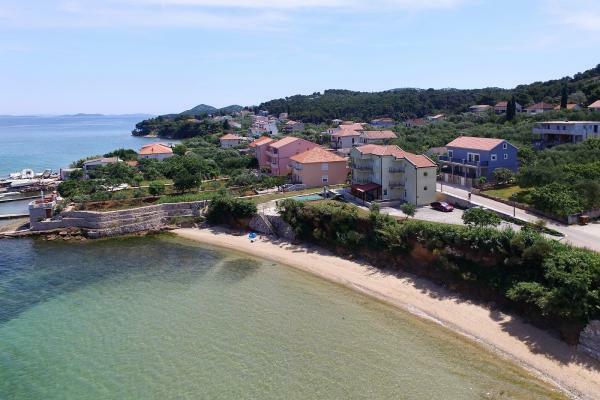 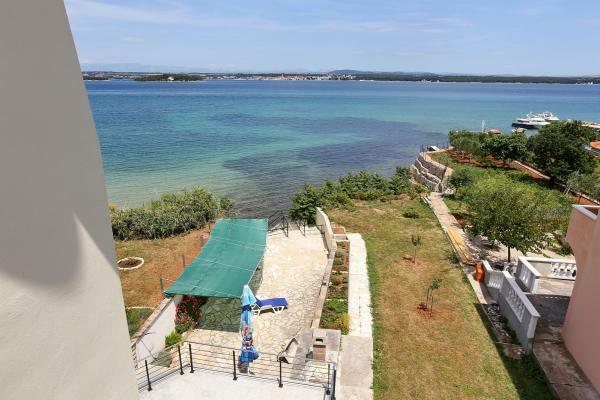 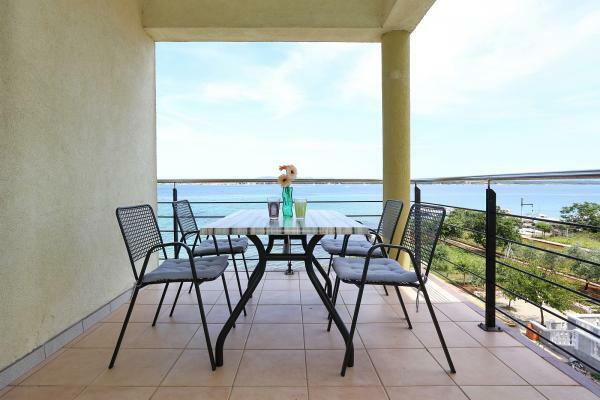 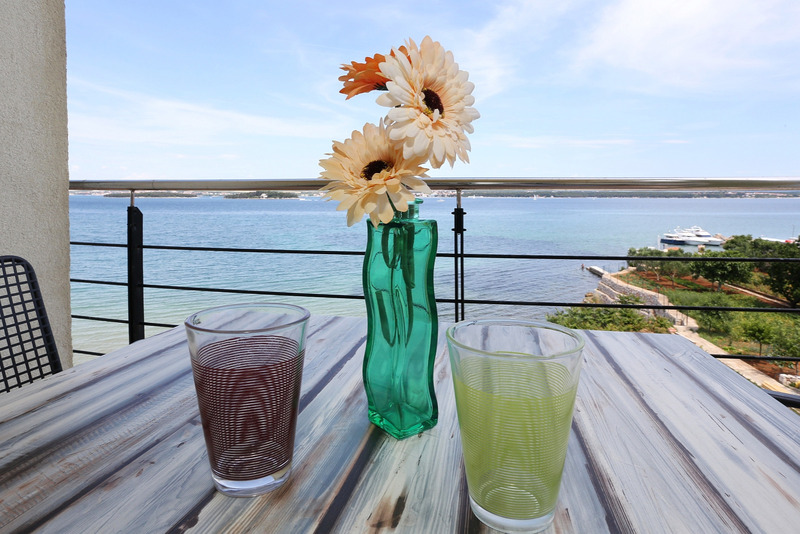 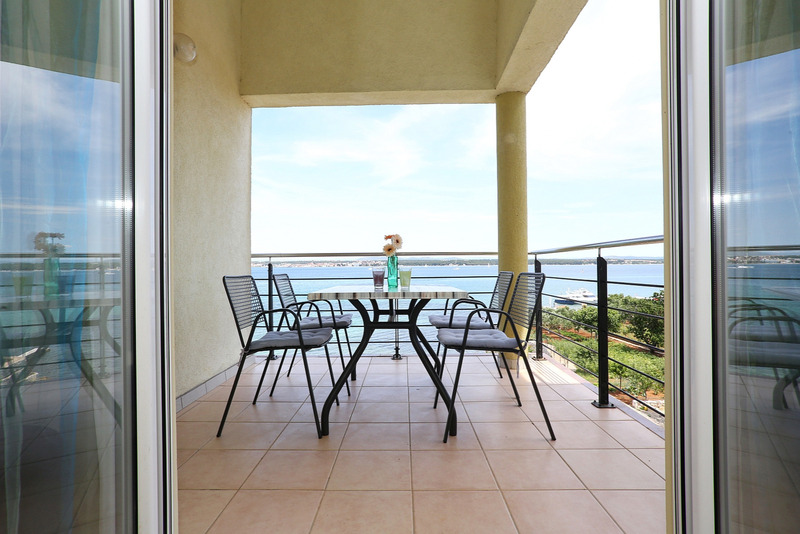 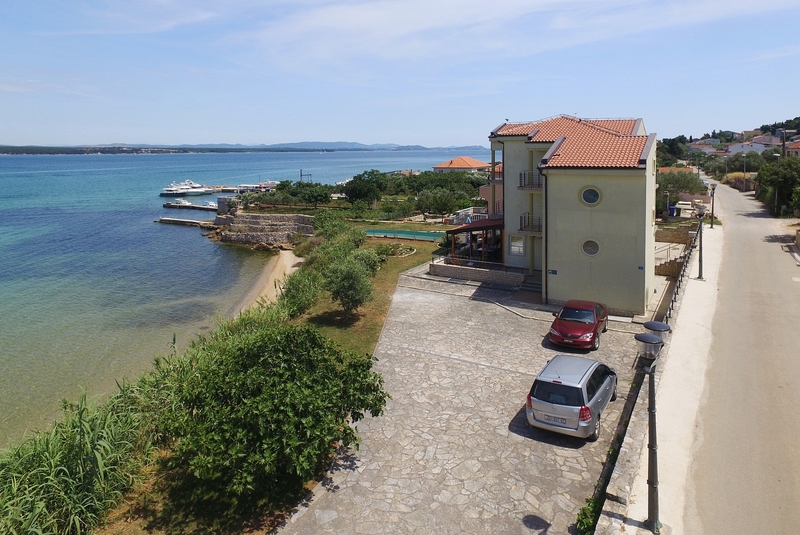 Villa Tkon is placed in the first row to the sea and beach in the village of Tkon on the Island of Pasman , only a 10min ferry-ride away from Biograd na moru (the ferries are going more then 10 times a day). On the Island of Pasman you will find many small picturesque villages, with lots of restaurants, coffee shops, bars, historical monuments, natural beauties (the biking road stretches along the whole island, offering you breathtaking views to the islands towards the Kornati national park) and stunning sandy beaches, which are great if you are travelling with children. 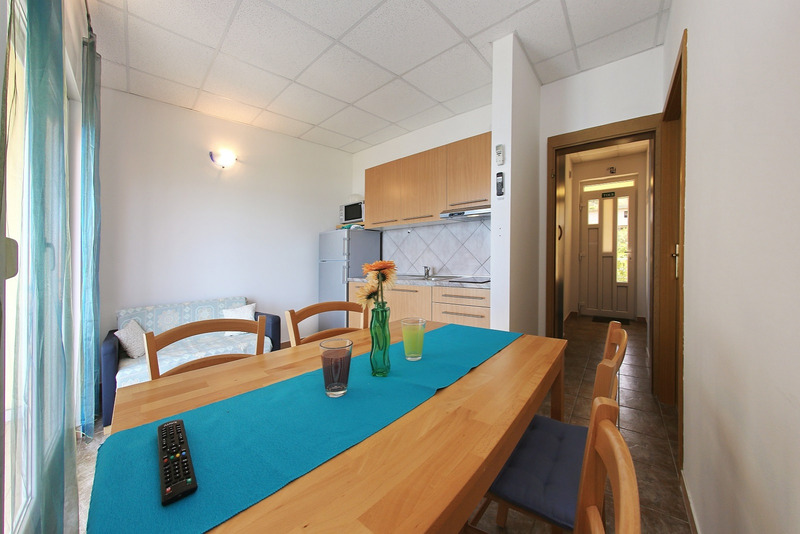 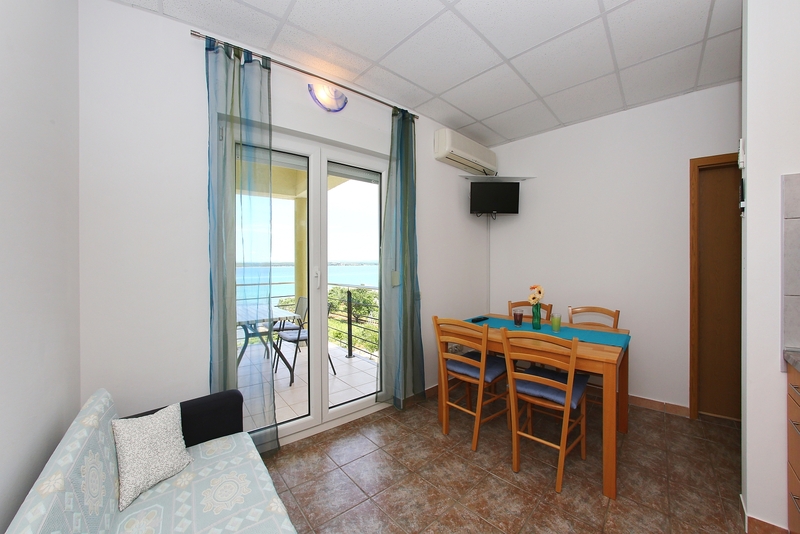 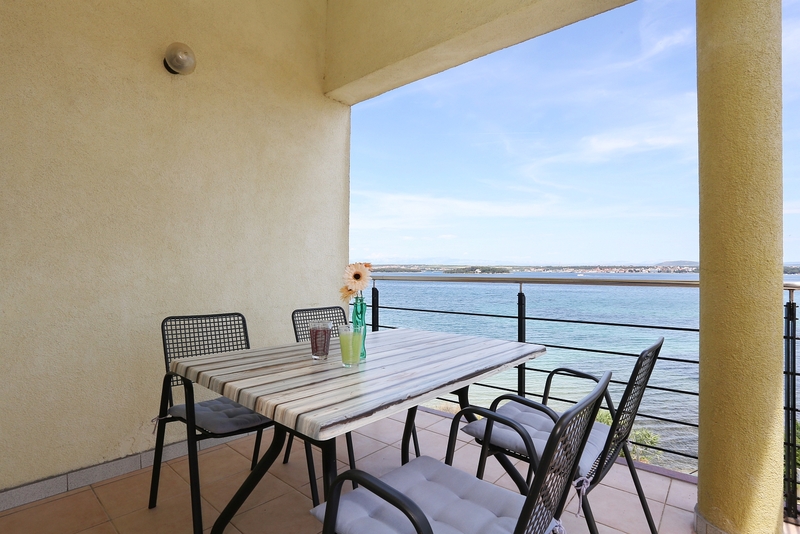 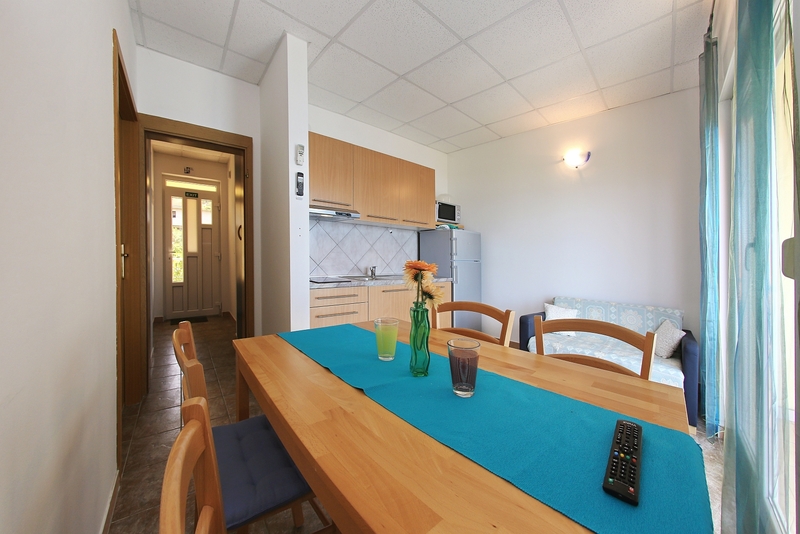 This holiday villa offers its five identical self-catering apartments to rent, for four persons, of 45m2 each, A1 on the base floor, A2 and A3 on the first floor and A4 and A5 on the second floor. 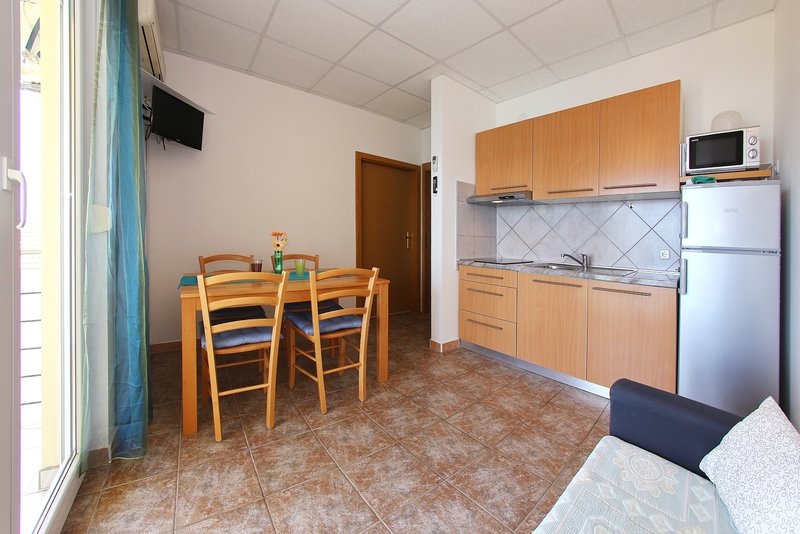 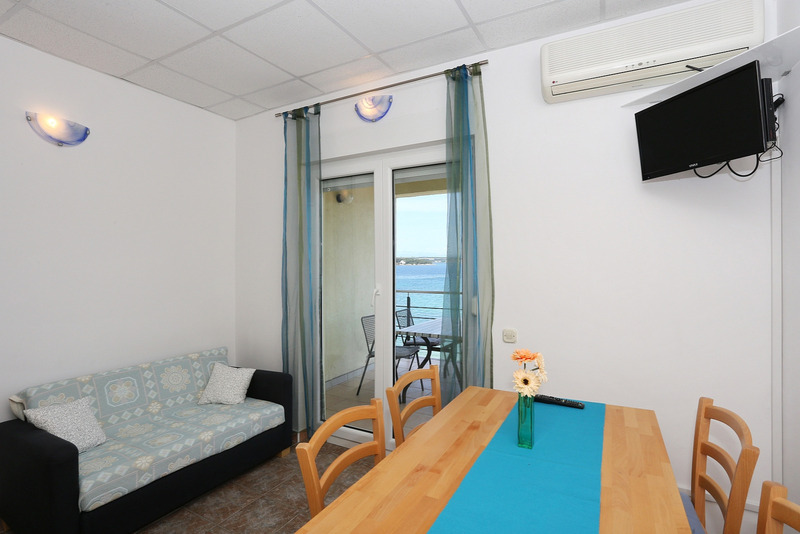 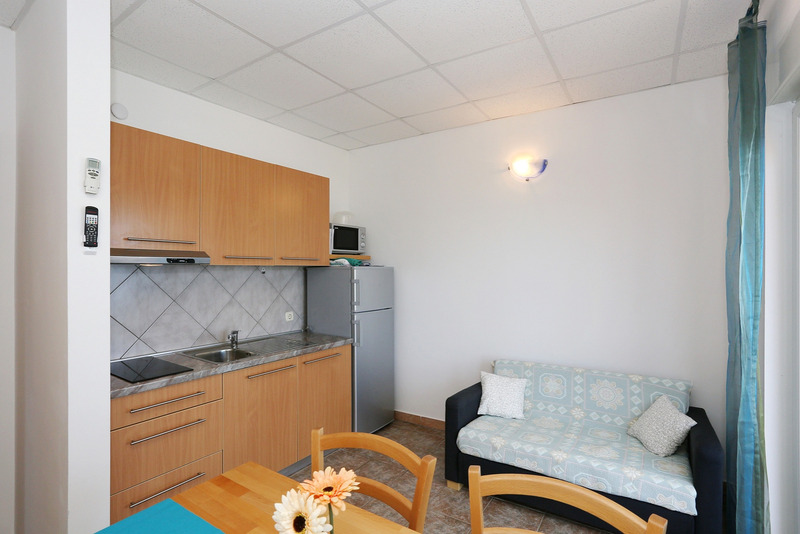 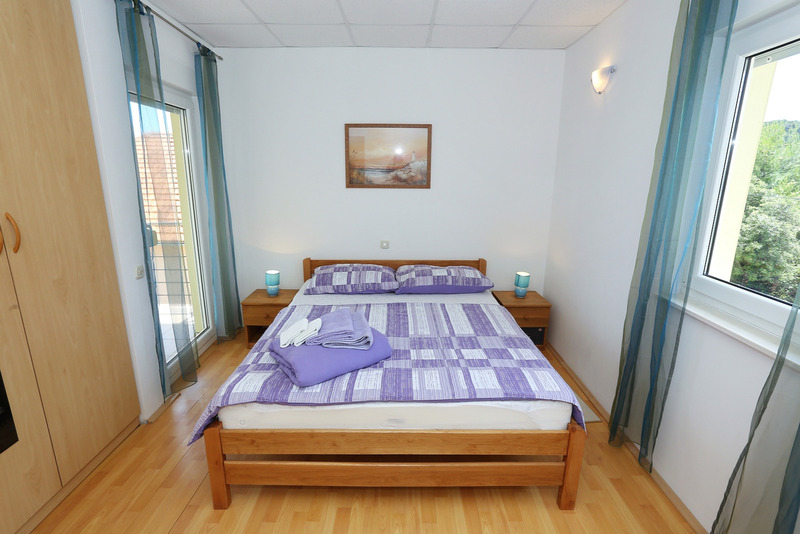 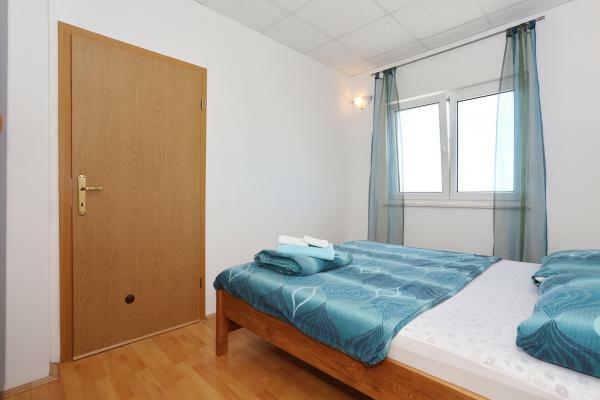 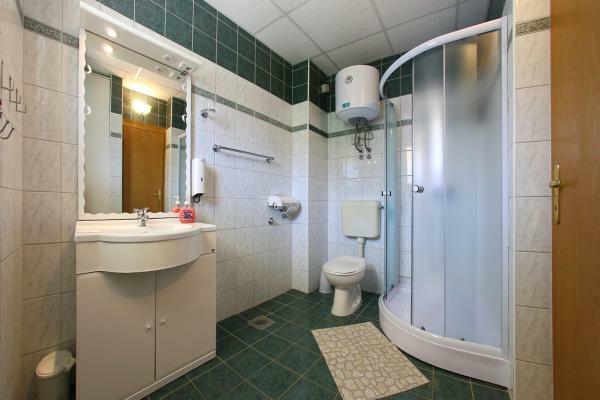 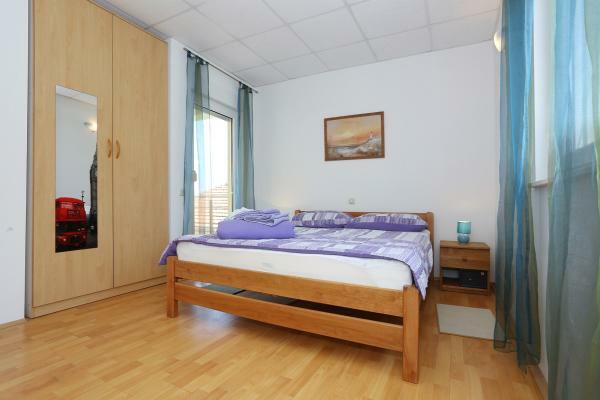 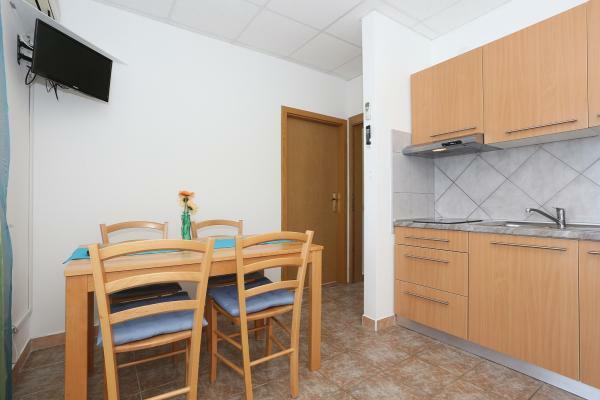 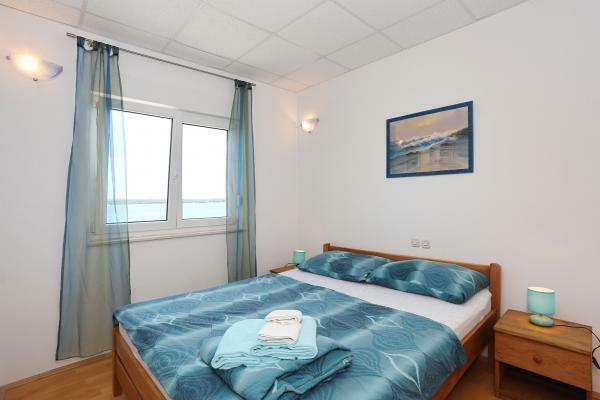 Each apartment has a separate entrance, two separate bedrooms with queen beds and bed linen, bathroom with shower (equipped with shower caps, towels and a hair dryer), kitchen with a dining area (equipped with crockery, cutlery, kitchen utensils, kettle, microwave oven, stove, refrigerator with freezer compartment, iron and ironing board), two balconies of 4m2, with sea-views (one is entered from the kitchen, the other from one of the bedrooms), air-conditioning, WLAN (WiFi) internet connection, SAT-TV and radio, parking place in the yard, beach chairs.